If you’ve ever wanted to launch a product online as a startup or individual, you’ll know doing so is no easy feat. The odds are stacked against you if you don’t know what you’re doing, and very few people do. The EC Accelerate team has perfected a product launch framework over the past 10 years. They’ve used their framework more than 60 times with a 100% success rate as founders, investors, and mentors. 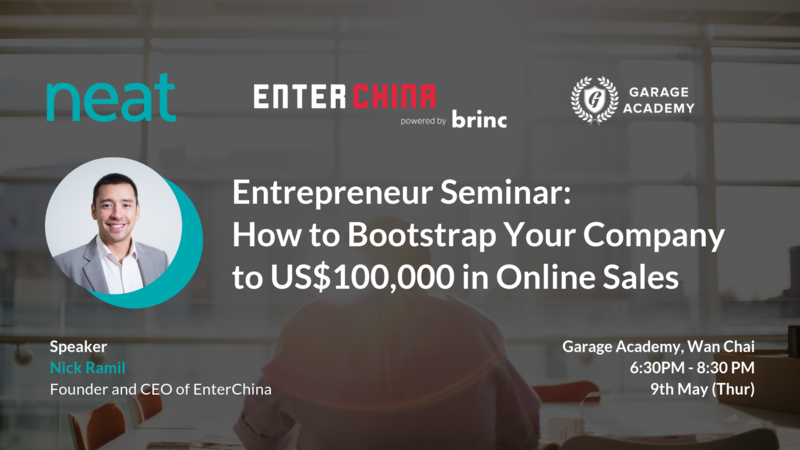 At this event, they will teach their proven, proprietary 5 step process they created to scale up countless companies through the EC community. Today, the community does more than $100M USD in annual revenue and it is their mission is to help founders focus on what’s truly important ($$$!) when they start their business. Neat provides a simple alternative to a traditional corporate bank account. We take away the obstacles you normally face in dealing with financial institutions: the paperwork, bureaucracy, and long waiting times. Neat equips startups and SMEs with the right technology to make life easier. EC Accelerate is the premier physical product coaching program which takes its founders from idea to launch to shipping products faster than anywhere in the world. Their program gives its founders everything they need to build a million dollar physical product business in a proven, proprietary, step by step process that will save them tens of thousands of dollars and years of hard work. Founders are given the opportunity to launch or scale their own physical product company within the next 6 months.